Many mills are leaving unrealized value on the table every single day. And with lumber prices at all-time highs, that represents significant dollars that could be going to the bottom line. In this session we’ll explore some of the ways you can use scanning, optimization and controls to maximize value from log bucking in the wood yard all the way through grading in the planer mill. We’ll also share some background on Timber Automation past, present and future. With more than 35 years of experience and facilities throughout North America, the BID Group is the leading integrated supplier of turnkey solutions for equipment, technology and service to the forest products industry. From engineering, project management, and construction to equipment sales, service and data analytics, the BID Group team creates strategic value to its customers with industry-leading response time, execution and support. This presentation will detail the BID Group’s development and execution of the turnkey strategy that has resulted in the unprecedented run of new mill construction within the industry. Brian and Ron will deliver a firsthand account of this incredible story beginning with the Biewer sawmill in Newton, Miss. 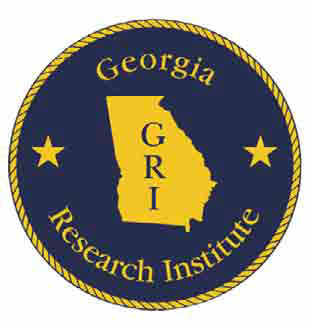 in 2016 through to current projects such as Georgia-Pacific at Talladega, Ala., Rex Lumber at Troy, Ala., and others, and concluding with an outlook of where the turnkey strategy will lead the BID Group beyond 2018. The forest products industry has never been for the faint hearted. Historically, lumber producers have overcome a variety of challenges during all phases of industrial revolution. This session describes how the current 4th industrial revolution is impacting mission critical maintenance procedures; how your environment will likely embrace the Internet-of-Things (IoT); and what financial returns you can expect on such investments. Multiple technological advances in hydraulics along with a tightly integrated mechanical/electrical/controls design philosophy has resulted in compact high-performance hydraulic power units. This session discusses the benefits of moving away from the traditional multi-pump HPU to distributed compact HPUs where each compact unit targets a small group of hydraulic axes. We will go into detail about how integration with a PLC can significantly improve hydraulic performance and provide advanced diagnostics over traditional designs. Example applications in the wood processing industry will be discussed before a brief Q&A session. Patrick Freeman, Chief Technology Officer, Lucidyne Technologies, Inc.
From facial recognition to medical diagnostics to self-driving cars, artificial intelligence is becoming more prevalent in our everyday lives. Lucidyne is now using the newest form of this technology to train the GradeScan automated scanner/optimizer. The system learns to grade lumber like a human grader learns: by example. Join Lucidyne for a discussion on how this technology can maximize your fiber and value recovery. One of the largest causes of above and below grade in the planer mill is knots that are assembled and sized incorrectly. Specifically designed to address this problem, Microtec’s new scanner for the planer mill, the Goldeneye 800, features three X-ray sources for precise pith location and knot size calculation at feed speeds of up to 4000 FPM. In addition, the scanner incorporates ultra-high definition cameras and multi-sensor technology to achieve unprecedented levels of accuracy in lumber grading. This presentation will explain how the various technologies are implemented and brought together in a simple, easy-to-use interface. A 35-year veteran of hydraulic system design, Peter will be talking about solving some of the toughest problems that plague timber industry equipment designers. The presentation will discuss, with specific application examples, the importance of understanding how the natural frequency of a hydraulic system may limit its ability to accelerate, and why simple PID control is often not enough to ensure precise operation when real-world environmental conditions take effect.